In Washington state, this periodic Water Quality Assessment begins by compiling all available information about the state’s streams, lakes and marine waters — including data from ongoing monitoring by federal, state and local agencies. A sorting process determines which information is credible and useful in compiling a list of “impaired” water bodies. The list is known as the 303(d) list after a specific section of the Clean Water Act. Water-quality standards, which define acceptable and unacceptable conditions, are based on one or more “beneficial uses” assigned to a given body of water. Such uses may include drinking water, recreation and aquatic life habitat. For each beneficial use, the standards provide an acceptable limit for criteria such as temperature, oxygen, acidity, bacteria and more than 100 listed chemicals. With respect to oxygen, marine waters are considered impaired for aquatic life when more than 10 percent of the water samples collected in a year violate the approved water-quality standards. There must be enough samples to include at least three violations during the entire sampling period, which can be up to 10 years. An alternative assessment method for oxygen may be used when instruments are capable of collecting continual measurements for a water body. In that case, the water body would be listed when measurements violate water-quality standards on at least three different days. 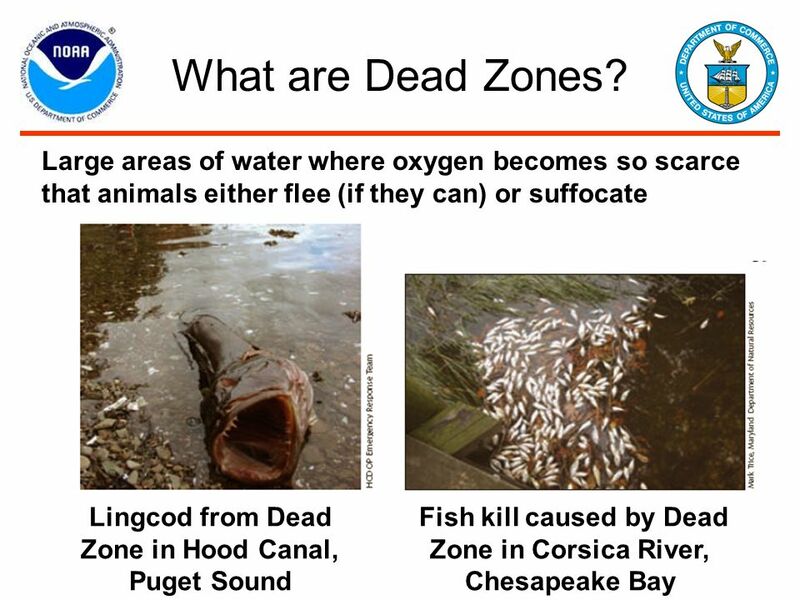 In areas of Puget Sound where dissolved oxygen levels are naturally lower than the water-quality standards, Department of Ecology officials must determine if human activities are responsible for lowering the oxygen levels more than 0.2 milligrams per liter below the natural condition. For example, in areas where marine waters are considered “excellent,” oxygen may fall below the standard of 6.0 milligrams per liter without being considered impaired — but only if the human contribution is less than 0.2 milligrams per liter. Figuring out how much of the low-oxygen problem in an area is caused by natural conditions versus human influences can be challenging, said Dustin Bilhimer of the Washington Department of Ecology. Methods used to make such assessments are being improved as part of the development of the Salish Sea computer model. So far, no areas have been removed from the impaired list based on the conclusion that human impacts were not the cause of low oxygen. Ecology recently launched the latest effort to assess the quality of fresh and marine waters throughout the state. Officials will be gathering water-quality data from a variety of sources until March 28. At the same time, the agency is conducting a public process to update policies about how information is used to make decisions in the assessment process. Webinars and public meetings are planned in late February and early March, as described on Ecology’s website.